I-74 to Brookville Exit, Sr52 towards Brookville, Rt. on New Trenton Rd., Rt. into Pucksinwah Pt. 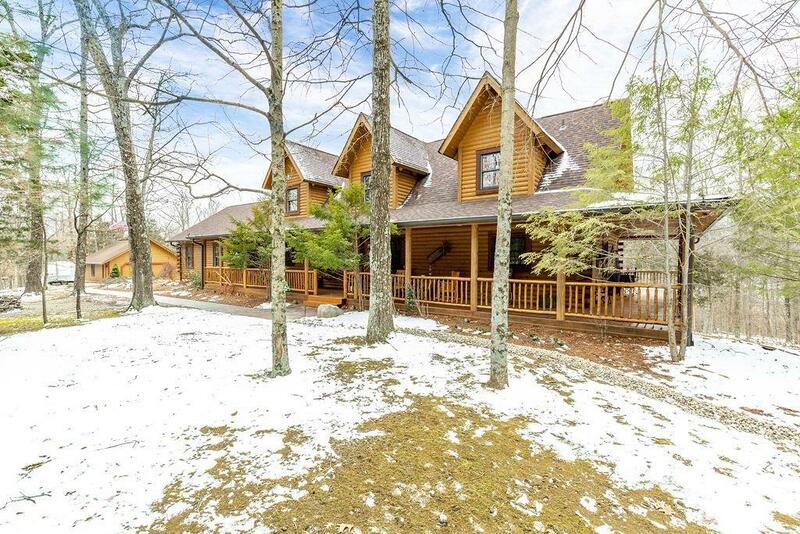 Gorgeous Custom Southland Log Home on 9ac with ultimate wooded privacy & stocked lake. Just 4 miles to 74, 30 min-Cincy, 40 min-Greensburg. Expert Craftsmanship & attention to every detail! Extra log stacked for higher ceilings throughout, heavy timber roof, 3400sqft of custom designed living space. Ask for list of amenities!